Lets face it, smart phones today are becoming more personal computer than a actual phone. And this fact creates tons of security risk to you and your personal information. Here are a some applications that can help keep your android device protected. Lookout Mobile Security does everything you could ask for. Allows you to view downloaded applications and see the personal information they can access. Lost your phone? Locate your phone on from another phone or computer. Perform a full remote wipe to keep your personal data out of the wrong hands. AVG anti-virus is the most popular service out there. AFirewall Blocker is an app that will block incoming phone calls from any number you specify. Keep telemarketers bill collectors at bay with this free application available in the Android Market. App Protector Pro will lock user specified apps on your phone. Such as your messaging or photos and allow them to only be viewed after you enter the unlock code which can either be a password or pattern to unlock apps. 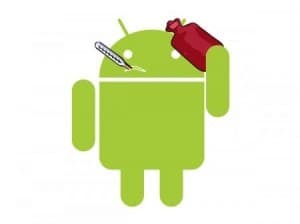 A combination of security software and old-fashioned responsibility can keep you from becoming one of the 99.7% of Android users vulnerable to attacks.